The tremendous health value of Sour Cherries has been realized as far back as 3000 BCE. Only today are we able to define what that really means. In more recent studies, the term “super fruit” has become associated with the Sour Cherry. This is due to the high antioxidant values the Sour Cherry possesses. It has been shown in studies to have high anti-inflammatory benefits, improve memory, lower the risk of heart disease and colon cancer, and has even been cited as contributing to a good night’s sleep. For centuries, the bark of the Sour Cherry has been used as a cough suppressant, prized for its sedative, expectorant, drying and cough control qualities. 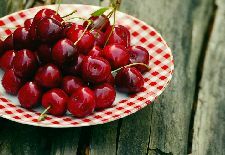 The fruit of Tart Cherries contains melatonin, and studies show that they may be of benefit to improving sleep duration and in managing sleep disruption. The versatile Sour cherry can be cooked, juiced, dried, frozen, eaten fresh or even distilled as the liquors Kirsch and Ratafia. They are included in any number of different preparations including baked goods, pies, preserves, main and side dishes or even for medicinal uses. For example, the sour cherry is paired as a main dish with meat in Persian cuisine or used in the preparation of Sour Cherry Saffron Rice (Polow), a wonderful flavored side dish suited for royalty. 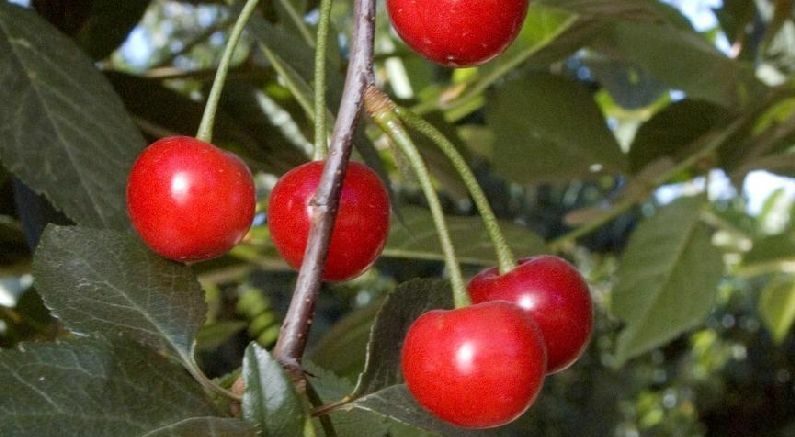 The most popular variety for this is the red-fleshed English Morello cherry, though the North Star cherry with its dark red flesh would surly be a good consideration as well. Sour cherries are delicious, and can be dried in a dehydrator. These dried fruits really improve the flavor complexity of a trail mix blend. Sour Cherry varieties are the most adaptable of all cherry types. 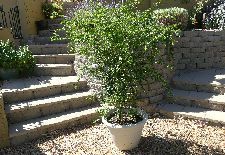 They are ideally suited to the modern landscape. 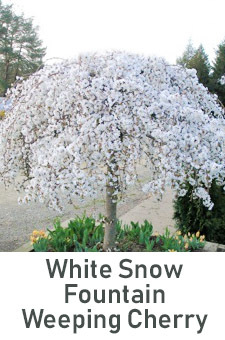 A full size sweet cherry is often too big and needs pruning to fit into today’s smaller landscapes. 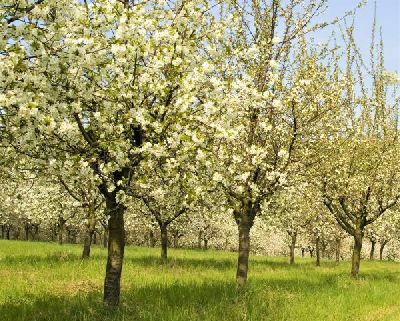 The more popular sweet cherry varieties like Bing require a pollinizer, which means another tree. Sour Cherries are all self-fruitful, requiring no extra tree. In addition, the Sour Cherry is a natural dwarf and is often referred to as a bush Cherry because of its low growing canopy. 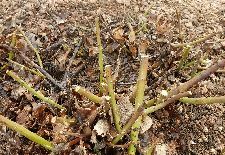 Sour cherries can easily be maintained to below 8 feet with just a little summer pruning. 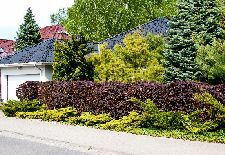 Their value as an edible ornamental shrub is tremendous. The trees develop prolific blooms in the spring, followed by bright ornamental fruit, and a wonderful vase shaped dormant structure. 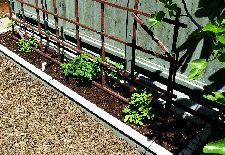 This can readily be achieved with the early season fruiting of the Early Richmond variety of Sour Cherry, long a favorite of American and English gardeners. Growing well in zones 4-9 and newer varieties – like the Romeo and Juliet - are showing promise in zone 3-4. The Nanking Cherry has proven a good choice for zone 2. With this wide range of adaptability and the fruits seemingly unlimited uses, the Sour Cherry stands out as a first consideration for today’s home garden.